Just across the street from the expansive Downsview Park, This project is slated for a 2021 occupancy date. Modern and conveniently-located, this project will add to the urbanization that we’ve been seeing around this park-filled stretch. This development site occupies the northwest corner of Keele Street and Maryport Avenue, a few blocks south of Sheppard Avenue West.The Keeley Condos is a pre-construction condominium and townhome development proposed by TAS for Toronto’s North York Region. The proposal for this project calls for a 12-storey condominium with 4,090 square-feet of commercial space at grade and three blocks of four-storey townhomes. In total, the development will add 270 new units to the community. These include one-bedroom and two-bedroom layouts within the tower, and one-bedroom, two and three bedroom layouts within the stacked townhomes. Residents will have access to 7,000 square-feet of indoor amenity space and almost 40,000 square-feet of outdoor amenity space, along with 383 parking spaces in an underground garage. There is a lot to say about this development's stunning brick exterior that gives it a modern yet rustic edge. A total of 270 suites will be make available, in a range of layouts from one-bedroom to three-bedroom. It's interior will be equally lavish, packed with stunning finishes. Suites will come with smooth finish painted 8'6' ceilings, making for an open concept. They will boast stainless steel appliances, a wall mounted mirror in the bathroom, a 5' soaker tub, and stacked washer and dryer. Residents will have the choice of laminate flooring. Luxurious amenities are plentiful in the tower, not limited to a family room, media den, dog and bike wash, equipped fitness centre, and library. The rooftop will also boast stunning outdoor amenities like a harvest sink, dining area, lounge area, barbecue area and a sun deck. Could you imagine a better place to organize get togethers on a summer day? Residents will also enjoy the luxury of being steps away from transit -- TTC and GO Transit stops -- university campuses like York University, and entertainment hubs like Yorkdale Mall. Truly, from The Keeley Condos everything is at your fingertips. North York condos, especially condos near Downsview Park, are part of a dynamic and growing region. The park itself is a major hub, but the residential and commercial areas surrounding it are only just beginning to modernize and accommodate increased density. We’ve seen some successful town home developments sell out rapidly around the park, bringing a contemporary, urban vibe to the area. Within Toronto’s “Downsview Secondary Plan,” some vacant lands have been approved by the city for low and mid-rise housing, parkland and a fire hall. A massive 100-acre redevelopment is in the works for a pocket to the south, a project that is expected to add significant employment and residential opportunities to the region, as well as brand it as a major urban destination. This part of North York is also a convenient neighbourhood, with easy access to shopping and services along the stretch, including a Walmart Supercentre. Highways 401 and 400 are easy to get to for drivers who need access to the region’s major arteries, while bus service is at the site’s doorstep. The newly-constructed Downsview Park Station, which connects to the extended subway line is only minutes away. 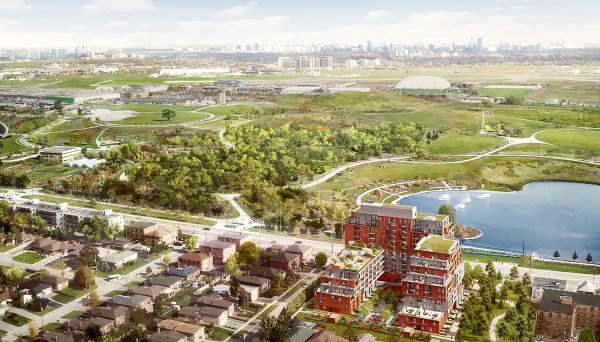 Aside from all this, condos near Downsview Park have access to the park itself, over 500 acres of greenspace. Aside from miles of walking trails, ponds, orchards and lush lawns that are perfect for picnics, it’s well-known for featuring cultural festivals, concerts and merchant’s markets all year-round. You’ll also find recreation facilities like True North Climbing and the Toronto School of Circus Arts, sports leagues and educational programs like the Toronto Wildlife Centre. There’s always something going on at the park! Yorkdale Shopping Centre, one of the city’s premier lifestyle destinations – renowned for its “luxury wing” – is a short drive or subway commute, providing a wealth of dining and shopping options.It also features a GO Train station. 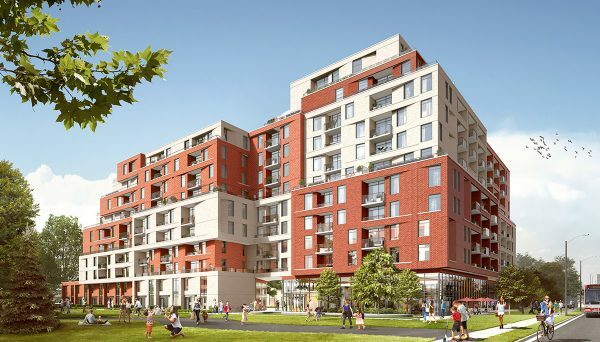 Connected and full of perks for families and urbanites alike, condos near Downsview Park are a great option for investors. 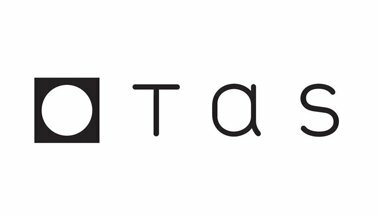 TAS Designbuild is a mixed-use building developer that is driven to better the urbanizing experience. They constantly work to support the local economy with a focus on making connections. They strive to celebrate neighbourhoods and their diverse arts and culture to form positive relationships. The award winning developer always designs projects with their 4 Pillars of Sustainability in mind. These were put in place to enhance social, ecological, cultural, and economic activities.